Telekom Malaysia has been quietly busy this year it seems. 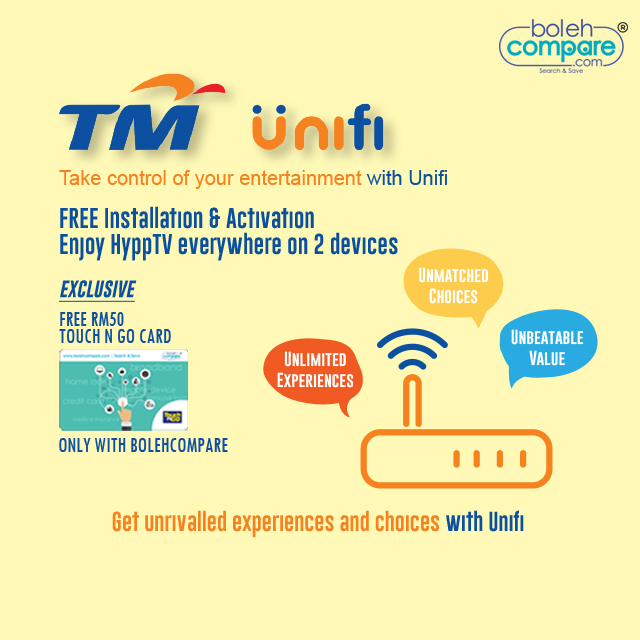 In addition to their promotional good news a while back, it seems that they’ve been shaking things up a bit in other departments as well, this time in Unifi TV. TM has apparently decided that consumer habits have changed enough to warrant the removal of its Set-Top Box (STB) from Unifi TV deals, ending its own niche as a HD IPTV provider via fibre. STBs have gone from being a bundled freebie to an optional add-on in the space of a few years, and now it seems that they’re gone from good from Unifi. If you already own an STB, don’t worry, you can still use it! Unifi still has all its channels as usual; it has merely decided to leave IPTV streaming devices, namely its STB component, behind. No more STB, but its online streaming content is very much alive and kicking. So you can binge watch all your movies on a good old TV and keep living your life as usual! So how can you access Unifi’s channels if you don’t have an STB? The answer is actually a pre-existing solution: the playtv@unifi app, available for free on iOS and Android. The unifi PlayTV app will continue to host all Unifi channels for your enjoyment across multiple smart devices, whether you’re at home or on the go. Of course, watching movies on the app has its pros and cons. On one hand, you get practically unlimited convenience to movie binge wherever you are, but on the other hand, you’re pretty much stuck to watching it on your small device screen for now, since the current PlayTV app still isn’t supporting streaming media adapters like Chromecast. The culling of the STB was a gradual thing, even if you might not have noticed at first. The first stage came in September 2018, when TM did a major revamp of their fibre broadband packages; back then, the STB was no longer to be bundled, but instead came as an optional add-on at RM30 a month for access to all channels. Unless you’ve tried to sign up for Unifi this year, you probably haven’t noticed that the IPTV STBs have disappeared altogether since January 2019. Yes, that’s right, they’ve been gone since the new year, and not many were aware of it. From now, subscribers to Unifi Basic 30Mbps and unifi 100Mbps can still access Unifi TV channels only through the unifi playTV app. What do you think – is this a good or bad thing?